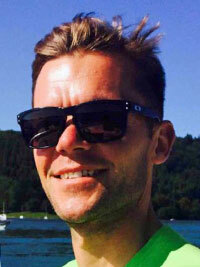 Nick Cotton is a co-founder of Eroica Britannia, a three-day vintage cycling festival held annually in Derbyshire. The festival is family friendly, attracting more than 45,000 attendees in 2016 from more than 45 countries with riders aged from 8 to 88. The ride, which takes place on the third day of the event, sees riders from all over the world setting off on The Great British Adventure on pre-1987 road bikes through open countryside and some of the toughest riding in the UK. Nick, please can you tell us how the idea for Eroica Britannia came about? Eroica Britannia was started by me and three friends after we took part in L’Eroica in 2008. We fell in love with all it stood for and had a vision to not only create a ride in the wonderful Peak District National Park but to build a three-day family friendly festival that celebrates heritage, the best of food and drink, outfitting and style, craftsmanship, music and entertainment, with the joy of cycling leading the way. 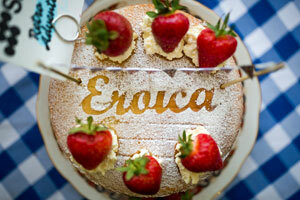 Eroica Britannia is the largest event in the global L’Eroica family. In 2016 we attracted 4,500 riders and over 40,000 visitors joined us over the three days of the festival. L’Eroica, which translates as ‘the heroes’ started in 1997 in Tuscany, Italy because of one man, Giancarlo Brocci, who admired the values of a past cycling so much that he wanted to reconnect others to the heritage that inspired much Italian history, literature, culture, and music. L’Eroica also created a foundation for the protection and preservation of the last gravel roads in Tuscany. These romantic concepts led to the idea of L’Eroica, an event that initially saw 92 “hunters of feelings and emotions”, as the creator, Giancarlo Brocci, defines them. 20 years later with many thousands of riders from all over the world taking part in almost every continent, its authenticity remains as strong as ever. Who else is working on the event with you on a day to day basis? We’re a pretty small team for such a big event. There are ten of us in the core team who work closely together on a daily basis. Many sporting events have a reputation for being male dominated. 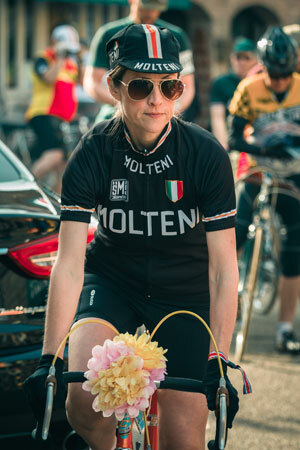 How important is it to you that there’s gender balance at Eroica Britannia? The Ride is open to everybody of all ages and all abilities, so rather than it being important to have a gender balance – it is simply a natural fact. That is the beauty of the event – the ethos is that anyone can pull an old bike from the shed or the garage, as long as it is a true vintage of pre-1987, and take to the hills in preparation to train for Eroica Britannia. The Ride is also a tough challenge but also an open playing field, so whichever route you’ve chosen – either 25, 55 or 100 miles – it means whoever you are you need to put the training in and tune in your sense of adventure and longing to complete a challenge. Then away you go. How has the gender balanced changed at the event since you set it up? The Ride always has been very well represented with women riders, last year was our third event and saw over 1000 women on the start-line. Ride stats show that this number will be even greater in 2017. Eroica Britannia is incredibly family friendly – and we see lots of women riding in their family generations which is an incredible sight and story in itself. Of course, the festival sees visitors travel from all the world – and isn’t just limited to people who are interested in bikes. The sheer diversity of the event as a whole over three days means there is something for everyone to enjoy! Which female cyclist from history inspires you and why? 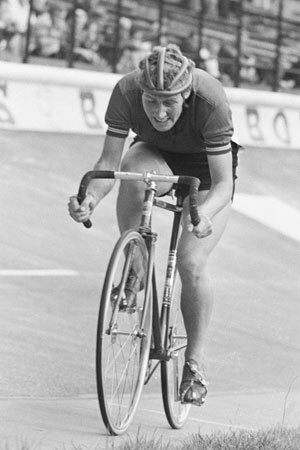 Beryl Burton OBE (12th May 1937 – 5th May 1996) was a British racing cyclist who dominated women’s cycle racing in the UK, winning more than 90 domestic championships and seven world titles, and setting numerous national records. She set a women’s record for the 12-hour time-trial which exceeded the men’s record for two years. She also used the Peak District as her training ground, which is especially important for us as she would have trained on some of the roads and tracks that riders of Eroica Britannia will journey on. Beryl’s achievements are literally too numerous to list here. She was almost unbeatable in domestic time trial competitions for 25 years (yes, 25 years!) 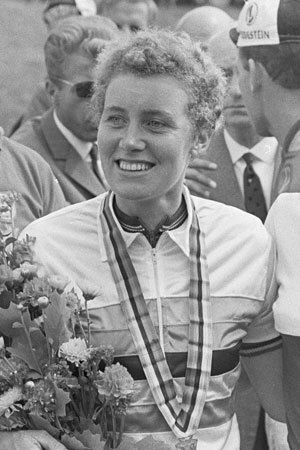 between 1959 and 1983, she won 72 national individual time trial titles, and she won 24 more national titles in road racing as well as on the track. Internationally, she was world champion five times, silver medallist three times and won bronze four times. She won the women’s world road race championship twice and was runner up once. On the track, she was an individual pursuit specialist, winning world championship medals almost every year across three decades. In 1967, she set a new 12-hour time trial record of 277.25 miles – a mark that surpassed the men’s record of the time by 0.73 miles and wasn’t to be surpassed by a male cycling until 1969. Legend has it that in one race as she was setting one of many records she caught (and passed) her male challenger, Mike McNamara, handing him a Liquorice Allsort as she overtook him. She also set about 50 new national records at 10, 15, 25, 30, 50 and 100-mile distances, three of which each lasted 20 years before being broken. Her 100-mile record lasted for 28 years, and her 12-hour record still stands today. These achievements led to an invitation to compete in the Grand Prix des Nations in 1967, which was next to impossible for a woman at the time. In 1982, along with her daughter, Denise, she even managed to set a British 10-mile record for women riding a tandem bicycle – an epic 21 minutes, 25 seconds. Why are strong female role models in sport so important for the next generation? It goes without saying. There are some incredible female role models in cycling – just look at Laura Trott (now Kenny) tearing up the velodrome at the Olympics in 2016. She shows what hard work and determination can result in – her dedication is inspirational and motivational, showing future generations that anything is possible. 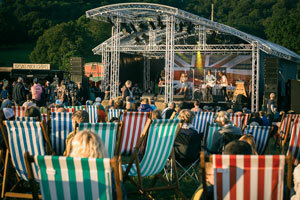 What is coming up next for you and Eroica Britannia? We have the event coming up over the weekend of 16th-18th June. The event takes almost a month to build so we are getting ready for that. It all takes 12 months’ solid work to put together so we’re on delivery mode currently and we’ll start with the 2018 event straight away when this year has taken place!